Have you ever known someone that was crazy to see you? See you for what, you may say! Your friend’s heart pulsates rapidly just thinking that you are near. If you lay your head in your friends’ chest, you can feel how your presence calms your friends’ heart down. Could you merit that much passion from someone? Have you earned such attention? As we speak, you are being Loved by God with no strings attached, no judgment, no imposition – just a gentle cry from the Creator of all things wanting to say hi – to commune with you. How? Don’t use your intellect; stop figuring this out! Focus on your heart and love Him. During the next 4 minutes, just Love Him. Leave behind all pre-conceived ideas that you may have and simply Love Him . This is not about you; It is about Him. If you are inspired to write, send us your experience and let us know whether you want to share it with others or not on the website. Oh Fire of Love – Fire of Love! Burn me from the inside out. Let your flames burn me; consume me. God of Love; God of Fire! But my heart wishes, and even begs, for more. Consume me oh Lover; My Master; My Defender; Mercy Incarnate. Let your Will be done on earth! Let your will be done on me! I have become greatly aware this Christmas that Love is It. It is everything. I look around me and I see that Love is what animates us, it is our desire to commune, it is the reason behind our dialogues, it is why we wake up, it is the reason why we don’t want to die, it is the reason why we want to die…Love sustains us, Love calls us. We live in Love, through Love, and for Love. What is also interesting is that as much as Love is everything, it cannot be defined. The term “love” cannot define “Love.” Love is not a word; Love is energy; it is a force; it is the action of giving and receiving. It is, simply, the Trinity. You cannot define it. To define love is to narrow it. Love can only be lived and not understood. It is not meant to be in a page of a dictionary or in someone’s understanding, it is the actions of the Trinitarian giving and receiving in which we, unaware at times, live this called humanity. This Christmas, Love became Man. How can that be? This communion of persons in the Trinity, this giving and receiving that created the world became a brother to us. 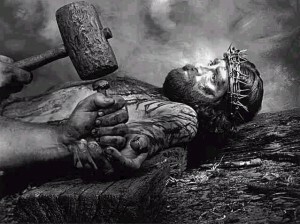 He grew nails like we did, he got his knees dirty, he saw through our eyes, and He gave Himself to death – body, blood, soul and divinity. Coincidentally, “Jesus Divine Mercy Inc,” will be travelling the next three weeks to Paray-le-monial (France), the location where the saint Margaret Mary alacoquereceived the vision of the Sacred Heart of Jesus. There the team will inquire, dialogue, and share about this amazing mystery of God’s love. We will have you all in our prayers. Merry Christmas and best wishes for 2011! Divine Mercy, Holy Mary, and our times. 1) We are living in challenging and historical times. 2) The church needs to be evangelized. 3) This sign of Mercy is our last opportunity for salvation. 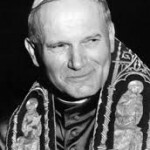 I would say that this final confrontation that John Paul II talks about can also be viewed as between the Gospel of Mercy and anti-mercy. Our beloved Pope has also exclaimed that the world will not have peace until humanity turns to God’s Mercy. We see this as well in the Diary of St. Faustina. Brothers and sisters, Mercy is the key. By His Mercy, we will obtain the graces of love, faith, and hope. 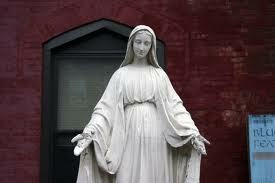 But moreover, in this confrontation, Mary – the mother of Mercy – is putting on her gloves a well. 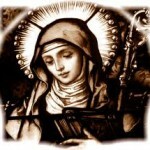 Let’s remember that she is our mother too who is going into battle. 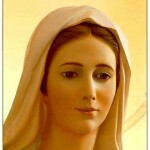 She is the Mother of Mercy. We can recall various reasons why our mother Mary is the Mother of Mercy. We don’t need to look any further than the gospel of Luke. 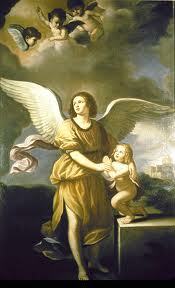 The angel Gabriel announced to Mary that she will give birth to a boy named Emmanuel which also means God with us. That is, Mary is the instrument through which God has made himself incarnate, flesh and bones, the second person of the Trinity sharing our human dna and redeeming us through his body, blood, soul, and divinity. By His actions, our fallen human nature has been redemeed being one with Him and consequently sharing in the Alpha and Omega, the Trinity. Even more, we have been given a mother to also care for us. – It is not just a theory; she claims motherhood over us as well. Am I not here, I who am your Mother ? Are you not under my shadow and protection ? Am I not the source of your joy ? Are you not in the folds of my mantle, in the crossing of my arms? Is there anything else that you need? The second reason why we can call Mary the Mother of Mercy is that Mary is “the one who experienced mercy in an exceptional way — as no one else.” (Encyclical Dives in Misericordia, section 9) She received what theologians called “prevenient” grace. This comes from the latin prae-venire, which means “to come before.” In other words, even before we ask for it, and quite apart from the fact that we do not deserve it, and have not earned it in the least, God graciously takes the initiative and comes to our aid. We see a reflection of it in a parent’s love to a child. Mary did not merit God’s Mercy and she could not have asked to be immaculately conceived. God took the initiative and fashioned her to be the created masterpiece of His Mercy in the world. 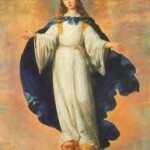 The Immaculate Conception is really the supreme manifestation of God’s prevenient, unmerited mercy. In “Veritatis Splendor (1993),” we read that our Mother Mary literally brought Divine Mercy into our world. 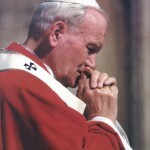 John Paul II, the author of such encyclical, expresses that God needed to reveal His Mercy and this brought forth the incarnation. Please noticed the beautiful rendering of God’s desire to save us when the Pope uses the word “need” implying God, who is perfect Love and needs nothing, did want to have us by His side and save us from the evil that pushes us the other way. 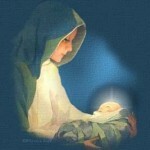 Mary also is the Mother of Mercy because she gave perfect devotion to Our Lord, her son. As we may recall, Jesus gives us five ways to adore His Mercy in the Faustina’s Diary. Mary performed each one with perfect disposition. 1) Spread out the message of Mercy through prayer, deeds, and words. Besides saying “yes” to being the mother of Jesus, Mary intercedes for us in the Wedding of Cana and many other occasions throughout the bible. Even today. 2) To trust in God’s goodness. 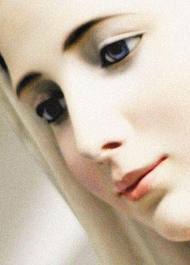 Did not Mary trust in God’s goodness? Can we recall Mary at the foot of the Cross venerating His Son Jesus? Who can more perfectly offer Her Son to the Father than Mary? Who can be more willing to celebrate the Feast of Divine Mercy than Mary having received the gift of Immaculate Conception and wishing all her children to be saved? Mary, as the Mother of Mercy, wants to always show us the way to salvation. She wants to lead us, grace by grace, step by step, to Jesus’ embrace. In conclusion, Mary is our Mother and our mother has the title of The Mother of Mercy. She loves us in her motherly ways being affectionate, guiding, and caring for us. She loves our brothers and sisters and she does not want to them to be lost. For that reason, she exhorts us to tell them about the Mercy of her Son. Let us love one an other. If Mary is our mother, my neighbour is also my brother. When I act wrongly against him, I’m acting wrongly against my very self. When I love my brother, I am loving my very self. We really are one body. Let’s ask Mary to pray that we might receive God’s graces to spiritually evolve above all the limitations that we put on ourselves. Let’s each of us be an apostle of Mercy. Psalm 91 can be life-changing. Choose people to pray psalm 91 over. It could be yourself, your son, your husband or wife, etc. Many people have seen the benefits of this prayer. • Am I tossing and turning at night with worry? • Am I trying to figure a way out of that impossible problem? • Do I feel like I am completely alone with no one to help? • Is depression dogging my steps? Have a lack of joy, an absence of hope? • Do I find it harder and harder to laugh and find delight in life? Reflect on this psalm for the next 5 days and let God’s Word bring forth what it says it would do. 5 You will not fear the terror of night,nor the arrow that flies by day,6 nor the pestilence that stalks in the darkness, nor the plague that destroys at midday. God Bless, Jane Ouijada, Proud mom of a US Marine! On an otherwise beautiful saturday morning , many Americans were suddenly shocked by live television images of the space shuttle, Columbia, disintegrating before our eyes during its final approach to a landing at the Kennedy Space Center in Florida. Not long after that event, I received an e-mail from a pastor in Colorado. He was searching for insight into the meaning of the promises in Psalm 91—urgent in light of the death of Columbia’s Mission Commander, Rick Husband, who openly professed faith in Christ. But the issue went beyond that to the suffering and death of countless other Godly believers throughout history. ‘ I am under the protection of the Most High,’ he replied. The guard came to attention and let him pass, for Adolf Hitler was known as ‘ the Most High.’ He came to the gate, where a group of guards stood. They commanded him to stop and asked where he was going. ‘ I am under the protection of the Most High.’ All the guards stood at attention as he walked out the gate. The English officer made his way through the German countryside and eventually reached England, where he told how he had made his escape. Sergeant George Harold Barclay Served in WWII in General Patton’s 320th Infantry of the U.S. Army, Company E. Continuous fear eliminated any expectation of ever returning to his wife and baby daughter. The same fear kept his wife terrified when she would see a Western Union truck delivering letters of war casualties. Once a Western Union messenger came to her door by mistake and she said that she froze with terror. Sometimes as many as six weeks would go by without a letter, during which time the News reported that half of Barclay’s company had been killed. The Battle of the Bulge saw his whole outfit cut off from the rest of the army. Finally, however a letter came from Harold saying that God had given him Psalm 91, and he now had absolute certainty that he would come home without even an injury. So certain was he of this promise in Psalm 91, that when the medics said they needed volunteers to go to the front lines to bring back the injured, Harold volunteered and made repeated trips under extreme enemy fire, saving many lives. The citation for the Bronze Star Award that he received said “…for bravery”, but Harold insisted that it wasn’t bravery since he knew nothing would happen to him because of the covenant promise God had given to him in Psalm 91. 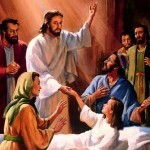 When he came home without a scratch, it was obvious that angels had indeed borne him up in their hands, allowing no evil to befall him ( Psalm 91: 11-12). Deliver us in Your Righteousness! control and head over the side of the mountain. I had time to say ONE word. family and every family in the world are just as important to God as I am! This story is true, but the names of the people have been changed, and the country cannot be revealed due to sensitivity. After twenty years of ministry in other lands, God led the family of Glen and Peggy Gray to Ukraine. They were the first Assemblies of God missionaries to reside in this former Communist country. As academic dean, Glen was correlating and organizing studies at the Ukraine Assemblies of God Bible School located in the capital city of Kiev. The Grays arrived in August 1993, excited about helping to train pastors and leaders for the growing Pentecostal churches. Weeks later, after many discouragements, including not being able to find housing (the four of them were living in one room with no cooking facilities) and visa delays, they decided to take a break. With their students, they attended a Christian youth music festival celebrated by the Ukrainian church. Young people from all over the country displayed their talents in worshiping the Lord. “What does that beautiful psalm have to do with our housing. As Peggy looked, she saw not one but many men with guns surrounding them and other cars, as well as a large tourist bus. Peggy screamed for the kids to hit the floor of the car. They got down as far as possible, and Peggy told them to pray that their dad would not walk out into this major robbery. Minutes seemed like hours as they cried out to God. Once Peggy peeked up and saw a man standing directly in front of the car, waving his gun wildly. He looked right at Peggy, so she quickly flattened herself down behind the driver’s seat again and prayed. The man never came to their new Speed the Light car—an obvious target! Peggy had an overwhelming sense of being covered. In the short time she’d looked up, she’d seen men with guns beating people. Other victims lay bleeding on the ground. Meanwhile, when Glen tried to leave the hotel, he was almost knocked down by three of the bandits who were attempting to escape by racing into the hotel. He paused at the door, horrified to see men struggling with the armed robbers. In a few minutes, he was able to race to the car, where he was relieved to find his family safe. Quickly he drove them away. “Mom, that’s what the other man said!” Charlene whispered. They went quickly to their room, opened their Bibles, and read together, “He will cover you with his feathers, and under his wings you will find refuge; his faithfulness will be your shield and rampart. 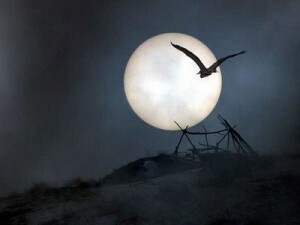 You will not fear the terror of night, nor the arrow that flies by day (or bullets? ), nor the plague that destroys at midday (the worsening of fear, anger, and disillusionment here). “A thousand may fall at your side, ten thousand at your right hand, (Oh, Lord, we saw that today at the right side of our car!) but it will not come near you. “You will only observe with your eyes and see the punishment of the wicked. (We saw that carried out by the undercover agents!) If you make the Most High your dwelling—even the Lord, who is my refuge—then no harm will come near your tent (or car? ),” Psalm 91:4-10, NIV. 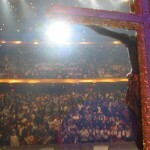 Is it difficult to contemplate on the Passion of Christ? 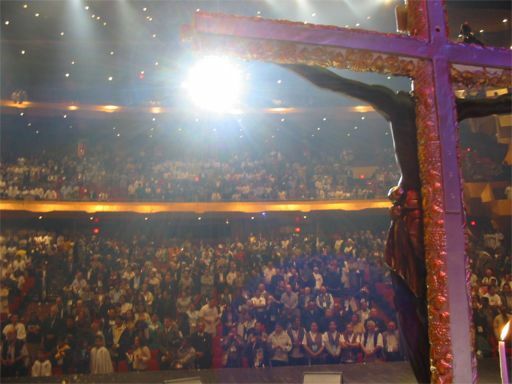 Why is it so difficult to contemplate Jesus on the Cross? 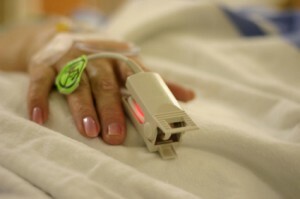 Have we ever been asked or felt compelled to stay by the bedside of a sick loved one? It is difficult! It could be our son, a cancer stricken wife, a Father and although we love them with all of our hearts, it is difficult to share their suffering. Why? Because we don’t want them to suffer; because we rather be in their place; because they don’t deserve it. And yet, we sit by their side and struggle through it because we love them. A friend told me once that she found herself in that situation when a relative was diagnosed with cancer. She would bath this person, care for this person, cried and prayed with this person. Today, I am in shock when I hear from her own lips that those were some of the happiest times in her life. She was the closest she could have ever been to her sick relative…and the presence of God, she exclaims, was so real that it was almost palpable. What do we do when we hear Jesus asking us to remember His Passion? When you hear Jesus’ petitions in the diary of St. Faustina, a nun whom Jesus revealed many mysteries of His love for us, what do we do? Jesus is basically asking us for a higher level of intimacy. We have met Jesus and fallen in love with Him. We give Him praises and we pray to Him. But now, your friend wishes that you spend time with Him during His Passion. I ask you – the reader – is Jesus asking you for a greater intimacy in your friendship with Him? For some, to contemplate on His passion is not an easy task. We hear comments regarding that it is too intense, too boring, too sad and sorrowful, or that they are reminded of some unjust death in their life. A lady may discuss how God could be so cruel to sacrifice His own Son and how that reminds her of the cruel death her own son experienced in a drunk-driving accident. I think we are like children in the sense that we are always trying to probe our Father’s Love for us. Let’s see what we can do to make him stop loving us and in that way we would know for sure that he doesn’t love us. Let’s do drugs, let’s lie, let’s be impure…and surely, my father will stop loving me. In regards to God, it is almost as one day we sat down and thought what could be the most horrible thing we could do to him….oh I know, said someone, let’s take His only begotten Son and although He is pure and good, let’s crucify Him on a Cross. 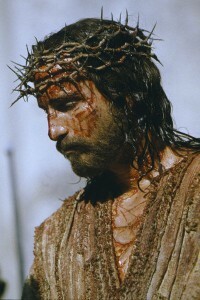 We’ll scourge Him first to death, humiliate Him, and then we would nail Him to a Cross. And there He would die; and then, we would see if the Father still loves us. We would see. That would put an ease every pathological problem we have and every wound we have ever gotten. But on the Cross, even on the Cross, Jesus still looks to the Father and say “forgive them for they do not know what they do.” And still, the Father God still looks down to us sinners and offers His son to death on the Cross. God LOVES us unconditionally. 1) Christ loves me as I am; in my imperfections and with all my faults, He loves me; He loves me. 2) I feel that Christ is looking back at me saying “Is this how you pay me? Is this how you pay me the love I have for you? Both of them are ok to feel. See, Love, in our broken world of sin, can only be one thing: forgiveness. Love from the Cross in our broken world can only be one, thing (I repeat myself again) and that is MERCY. As we contemplate on Jesus on the Cross praying the chaplet of Divine Mercy, let’s also remember that we cannot produce feelings of remorse, sadness, or even joy. It is not in our power to produce these feelings. These feelings are gifts from God. What we need to do then is simply ask the Lord to give us compassion for Him; to give us the desire of sorrow; to give us understanding…and let the Lord of lords reveal Himself to us and reveal His mysteries to us. Please let’s remember that it’s not in our power to produce these feelings. It’s a grace that we must ask for. That’s what contemplation is…it is not a moment of reflection; it is a moment where we ask for the graces we desire and God reveals Himself to us. May God bless you always and remember to do at least one act of Mercy today and each day! I have often defined “prayer” as a response to God’s omnipresent and omnipotent Love which is found in every dimension of our daily lives in the form of what St. Ignatius calls an effective Love. Today, upon further reading and reflection, I am more ready to define “prayer” as a transformation; an on-going conversion, if you wish, towards a perfect union with our very Trinitarian God. I have also grown more inclined to go beyond the reality of God’s call for an intimate union and to lay greater emphasis on the conversion process that this union entails. Prayer ought to be more than a final revelation about God’s Love or a once felt metanoia. It should constitute a one-on-one progressive relationship and consequent transformation. Prayer, viewed in this light, makes us aware of two very important realities in regards to the God-creature relationship: God is perfect Love, and we are wounded and imperfect. The mystical union which the Gospel calls us into with God is more than simply being able to acknowledge Its Majesty in our midst but a progression or pilgrimage towards holiness. Adopting St. Ignatius’ description of his own soul, we can also claim to be pilgrims in journeying to a more intimate union with our Creator. Personally, I find great strength in this. To understand prayer from a pilgrim’s perspective allows me to be more conscious of the effects of original sin and redemption and how each of my actions could become a prayer. Moreover, I am reminded of the call to continuously surrender to God’s Will and the spiritual treasure found in humility. Let us start by saying that a pilgrim is aware of his/her sinful state and the Redemption which has been gained by His Lord. In his journey, prayer is viewed as the soul’s progression from being self-centered to becoming Christ-centric. This transformation that our souls are to undergo illuminates the value of being aware of both our sinful and redeemed state. First off, we should state clearly that the pilgrim bears the effects of original sin or the consequences of the Fall by the first Adam. This becomes evident in our own lives as we have felt the challenge to reconcile our desire to approach God with the discouragement planted by our wounds, distrust of Love, ill-informed reasoning, a misdirected will, selfishness, vanity, and concupiscence. The pilgrim recognizes its sinful tendencies but looking at prayer as a journey gives him/her a greater disposition to accept his/her faults. This in turn makes the pilgrim more receptive to God’s Graces and able to grow from his/her common spiritual struggles. Moreover, the pilgrim knows as well that he/she bears the fruits of the new Adam. Through Christ, by His Life, Death, and Resurrection, the wounded soul has gained adoption as a son or daughter of the Almighty God. This turns the effects of the first Adam into an opportunity to meet God’s Merciful Love and receive the fruits of redemption. While the soul remains wounded, always unrepeatable, wonderfully made and autonomous in his free will, he/she shares the image of Christ’s baptism. The soul receives the fruits of redemption while living in the mystery of Love where the pilgrim’s freedom to move closer to Its Majesty is still respected by presenting both the choice of life or death. Prayer in the life of the pilgrim becomes the continuous effort to choose life and such a choice is typified in changing from the old Adam into the New Adam. Eventually, prayer, in union with Christ, becomes the pilgrim’s very action. As the pilgrim embarks on his/her journey, the soul views prayer as a re-orientation of his/her focus. The objective is to remove anything that may impede the soul’s on-going conversion into the new Adam. 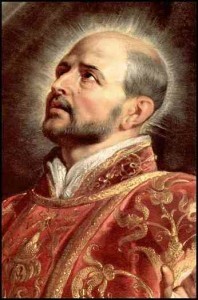 St. Ignatius depicts this clearly in his Spiritual Exercises in the way the soul is helped to obtain greater degrees of freedom in order to progress into a deeper union with The Creator. Through specific meditations and reflections found in his Spiritual Exercises, the soul, by God’s Grace, works on freeing itself from the prison of its own ego and re-orients all its faculties towards God. What has caused the soul to fall is now a conduit to Its Creator. For instance, the ability to reason now becomes the key to free ourselves from our concupiscence. Our memories can now be divinized to see God as our primary reference point. Our wills become an opportunity to participate in the Trinitarian life by choosing to be a sincere gift of self to others. In brief, the soul becomes rooted in Christ and our prayers carry the fruits of His very Passion, Death, and the Redemption which He has gained for us. By His merits, our prayers operate in the power and intimacy of the second person of the Trinity. Our soul becomes the incarnation of Christ and our very actions including our sufferings and joys, united with Our Savior, become actual prayers. 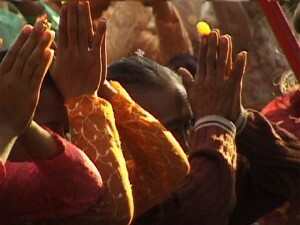 To the pilgrim, these prayers are a constant surrendering to God’s Will and a deepening relationship with His Savior. To look at prayer as a journey serves to expose several lies which I have always found to be roadblocks on my journey towards Love. I am referring particularly to the tendency to make prayer a superficial and un-engaging act while adopting the mindset that we have reached a final stage of conversion. A pilgrim is not interested in viewing prayer as a finite solution to the reality of God. As we have mentioned before, the soul rather sees prayer as a journey rooted in an on-going affair. This allows the soul to address God with sincerity knowing that the objective is not to be found sinless but to be part of the relationship anticipated by the desired union. The soul does not keep moments of desolation and consolation to himself/herself but shares these with His Creator. Superficial prayers are inapplicable when the pilgrim understands prayer to be a heart-to-heart conversation with its Creator. Moreover, consistency in relating to God is highly valued as this is the basis of the relationship. Time is scheduled to be spent with the Lord and an on-going awareness of God’s presence is fostered throughout the day. The transformation is never final since the Creator is infinite but yet the journey provides fulfillment for the pilgrim’s deepest longings. As the soul works on becoming freer, the pilgrim does not experience a recurring metanoia but a deepening knowledge of God’s Mercy. This moves him/her to respond more fully to the Lord and in this way gradually surrender to His Will. 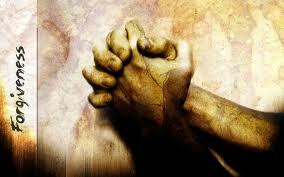 At last, the act of surrendering turns prayer into a complete dependence on God’s Grace. The ability to understand what we have mentioned above (our sinful nature and redemption, the Incarnation and God’s Will) rest wholly on the Graces that God imparts. The pilgrim understands that he/she cannot advance one inch forward without God’s Grace. In our arrogance, we shy away from His Graces. In our journey, the most sought after gift then becomes humility. 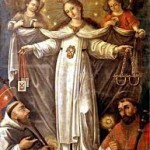 For St. Ignatius, the three degrees of humility (provided in His Spiritual Exercises) represent three levels of generosity which the pilgrim would want to experience in following Christ. Again, we find in Ignatius’ writing the call to be transformed into Christ. When looking at the first degree of humility, the pilgrim desires to be detached from any mortal sin. The second degree seeks detachment from venial sin. The third degree of humility calls for the pilgrim’s total configuration into Christ sharing His poverty, humiliations, and Cross. 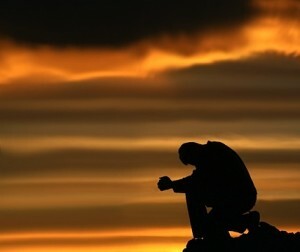 The greater degree of our humility, the more our souls open to God’s Graces and we grow in our mystical union with God. This reality of our journey seems to be heightened by looking at prayer in the context of our pilgrimage. In conclusion, prayer is to be transformed into the new Adam: Christ. And in this process, we do contemplate God’s outpouring self through our daily events and even in our very actions. In understanding my current spiritual state to be the one of a pilgrim, I find it easier to accept my faults and the redemption Christ has gained for me. I can more trustingly approach His Merciful Heart with the goal that one day I would be able to hear both My Savior beg for my heart and my heart begging for His. Certainly, God’s effective Love will become manifested in my caring for those who are in need. My life will be my prayer. My prayer will be my conversion. 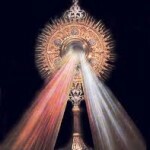 Consecration to Christ is to become property of Divine Mercy. Start your day here! A Daily offering of self to Christ. You do not have to be perfect. God’s Mercy is at work in your life. Open your eyes to His Presence and begin by consecrating yourself to His Mercy today! Consecration through 7 Our Fathers, Holy Mary, Glory Be. “For Christ’s Love compels us because we are convinced that one died for all, and therefore al died. And he died for all, that those who live should no longer live for themselves but for him who died for them and was raised again”. (2 Cor. 5:14-15). First, let’s state unequivocally that God is Love. Outside of our current personal situation, this is one, among other facts, that is objectively and unchangeably true. It is a fact, for instance, that gravity keeps us on grounded. We know for a fact that only women have children; we know factually that everyone’s life on earth will eventually end; but among the rest of the other facts, it is irrevocable that God is Love. 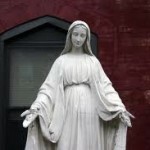 St. Margarate Mary Alocoque has told us that God loves us with a passionate love which was revealed to her in the apparitions of Jesus’ “Sacred Heart.” St. Faustina has written in her diary “Mercy in my soul” that she has come to know that God loves her. (Diary, #16). In brief, the number of Christians in our history who has come to this realization is endless and will take more paper than we have to list them all. Yet, the story of Rev. John Hardon is not uncommon in our midst as he explains “In my forty-two years in the priesthood I have dealt with many souls and have been involved in many problems. I believe the hardest mystery we are called on to believe, when everything is against it, is that God does love us.” In her diary again, St. Faustina cries “Oh, if only souls would want to understand how much God loves them!” (Diary, #1073). Have we ever stopped to think where Love comes from? Love has never been created. It has stood eternally outside of our earthly time. Before we were conceived and our birth had colour another day in our chronological history, Love, standing in the eternal now, knew us (Jer 1:4-5). The word “know” or “knowledge” often denotes intimate personal fellowship, not merely knowledge of someone. It implies a choice from God, a purpose behind that choice, and a meaning seeded, granted, and imparted by the reality of the Lover’s desire. As we were created in His image, we stand different from other creatures in our intellect, free will, and the very capacity to Love. These allow for the emergence of unique talents, gifts, and personality traits grown out the Trinitarian seed. These personality’s gifts find their meaning and full realization when reflecting and living in the Trinity – Our Creator. Furthermore, our gifts find their full potential as a response to The Love that gives rather than takes. It goes often unnoticed that if God was to stop loving us, we would simply cease to exist. Yet, despite Love being our very life source, Love does not use or take from us. It simply gives and seeks, as a tirelessly lover, for the beloved’s reciprocity or the beloved’s self-offering. Love still knows us. Each of our hairs in our head is counted. Love sees when we sit and raise. (Psalm 139). Love is our Father (Gen 1:26) and aware of each one of our faults including those who we hide in our hearts. The Father is aware of the special value that we hold for we are His sons/daughters. We are naturally and irrevocably His offspring (Acts 17:28). We were chosen when creation was planned (Ephesians 1:11-12), and our days have already been written in God’s book (Ephesians 1:11-12). Being His little child, God the Father desires to lavish on us (1 John 3:1). Do I feel judged? By who? Do I feel secured in being someone who is loved? Do I feel accomplished? Do I feel confident that my talents are being utilized to their maximum potential and meaning? Do I feel as if I belong to someone or something? Who do I belong to? Do I feel a property of Jesus? Do I feel a property of Love? What is contingent on my happiness? Whether we realize it or not, we are consecrating ourselves daily to either the world or to God. Thankfully we have consecrated ourselves to God by means of baptism. Our sins are washed away by Christ’s offering and we have become sons and daughters of Love through our baptism in Christ. In a way, we have been caught in the Trinity. This is the kind of love that our hearts have always desired. Christ, who is God, offers Himself to the Father in replacement for the self-offering that has been sought from us providing us to have a full relationship with the Father, restoring Trust, and bringing us into the indeweling of the Holy Spirit. If you are consecrated to Christ, you are simply God’s property. In today’s time, I believe Jesus is making us a unique call to consecrate ourselves to the charism of Mercy. That is to take refuge, be restored, and be united with God becoming witnesses and instruments of His Mercy. 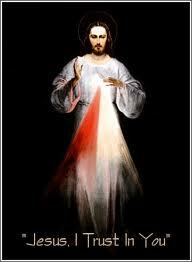 Whether we are priests, nun, religious, lay faith, sinners or saints, we must consecrated ourselves to Divine Mercy. We are not stepping away from the affirmation that God is Love which we have heard from so many. Divine Love is Divine Mercy dying for the sinner, by means of the sinner, while offering Himself to the Father as atonement and asking for the sinner’s forgiveness. Mercy is the root of our conversion, the mission of Christ and our Catholic faith; it is perfect charity, what moves us to forgive, to trust, to mature in God’s holiness, and to pray. It is to understand that God loves us. 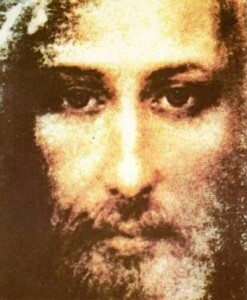 1) Venerating His Image of Divine Mercy. Loves entails a giving of self. God, our Father, is asking us to offer Him a sacrifice of Love that would be a manifestation of our love for Him. What would your offering be today? You’re Will? You’re Sins? His Sons? 3) Spreading the message of Mercy. Jesus came to the world ONLY for sinners (Lk 19:10; Mk 2:17). Living apart from God is to be on the road of self- destruction and God, in His Love, seeks to save us by giving us His Love, His Mercy, and eternal joy. As instruments of Mercy, we are never to judge others but to always be merciful. We will in this way spread the very Mercy and Love of God. 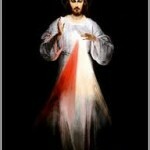 4) The Feast of Divine Mercy. 1) It helps us fix our eyes on Jesus and His Mercy and overcome our sinful habits. 2) It gives us the daily opportunity to repent from our sins and to turn to God. 4) It gives our monotonous life an immeasurable worth given that our every action would be united to Christ allowing our suffering and joys to gain merits towards the conversion of sinners. For more information on this coming book, please contact MercyDaily.Com. We welcome this new section of our website with great excitement. I encourage the visitor to share his/her personal testimony as a mean of healing and to help others, in the community, see that Jesus is indeed Alive. God loves you and wants you to know it. Spread the Word. We ask everyone to respect each other’s testimony and to continue praying for those intentions listed in the “prayer” section. God bless you! Reconciliation is an important element of our spiritual growth. In the Diary of St. Faustina, we learn that we must forgive those who have offended us and that we must ask God to forgive us when we offend Him. Moreover, we must ask ourselves pardon when we offend our very selves. Reconciliation is necessary because it moves us into union with Love. 1) Do I harbor any hatred or negative feelings in me? If I do, that’s an offence against Love. His invitation to be His friend again. This invitation from Jesus is Mercy. Remember that although God can do all things, He cannot Love you without forgiving you at the same time. And guess what? He Loves you. In fact, He adores you. The message was apparently given in the day of “nonbelievers,” but it certainly could apply to all of us. 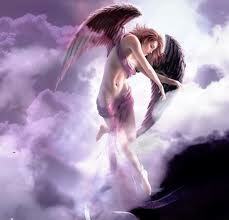 Angel to hold off for a few moments, and the world would do penance. But my plea was a mere nothing in the face of the divine anger. Just then I saw the Most Holy Trinity. The greatness of Its majesty pierced me deeply, and I did not dare to repeat my entreaties. 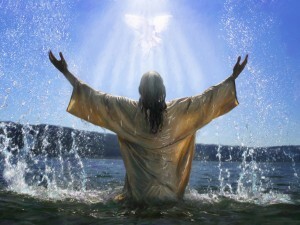 At that very moment I felt in my soul the power of Jesus’ grace, which dwells in my soul. When I became conscious of this grace, I was instantly snatched up before the Throne of God. Oh, how great is our Lord and God and how incomprehensible His holiness! I will make no attempt to describe this greatness, because before long we shall all see Him as He is. I found myself pleading with God for the world with words heard interiorly. As I was praying in this manner, I saw the Angel’s helplessness: he could not carry out the just punishment which was rightly due for sins. Never before had I prayed with such inner power as I did then. 475 The words with which I entreated God are these: Eternal Father, I offer You the Body and Blood, Soul and Divinity of Your dearly beloved Son, Our Lord Jesus Christ for our sins and those of the whole world; for the sake of His sorrowful Passion, have mercy on us. 1)	God has given you an amazing Grace in recognizing your sinfulness. Accept it. 2)	God has given you an amazing Grace in offering you His forgiveness. Accept it. 3)	God is calling you by name meaning that He Loves you, He protects you, and He wants you to talk with Him. Accept this as well.